Great entry FCP-Rug...still need to review the other...and will hold my detailed comments until after the results are determined. I've just done my "first lap" around yours and I gotta say the pictures didn't do your decor enough justice! The designs are mindblowingly brilliant. I will try and talk on your thread also! Wowmancart! Can't wait to read all the feedback! I didn't have time to do much more on it, but here it is in its unfinished state. I thought you all might want to see it, and there are parts that I didn't get to show off in a competition for one reason or another. I don't have any external media in my park. Thank you all for your encouragement and tips over the course of the competition. I learned a lot from looking at everyone's entries and am looking forward to going through the parks. @Rug: Thanks for the compliments. I've now had a good look at Steep Rock so will return the compliments. Wow, your pics failed to do justice to this park. There is so much ingenious stuff in here and very tasteful styling all over. The whole place has such a park-like (as in nature park) look to it with which the architecture blends in perfectly. There are some really excellent constructions throughout. The queue and station for Mountain Rush are my favorite, but I also very much admired the buffet at the Frite's diner, the campground, and the whole zombie maze thing. Oh, and Area 51 is gorgeously desolate, a real contrast with the rest of the place, and that coaster in it is a lot of fun. The billboard work was excellent, too. 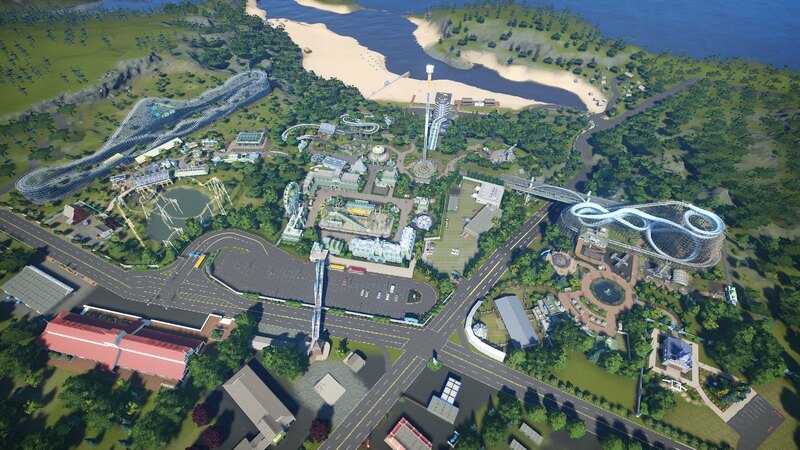 @PhD: I used all your billboards and I'm glad I did as they are such an integral part of your park. Now I'll be forever culling those I don't want to use myself later from those I do . Next time please use a naming convention . Anyway, while there's a lot unfinished, what you did get done looks fantastic! Such as the pink hotel, the funicular, the elevator, and everything on the beach, plus the gardening all around them. . Woodworm is a lot of fun although it has some high Gs in places. The layout is so cool, although I couldn't find a way for peeps to enter and exit it without walking through walls. Oh, and that stadium! I hope you have more time for the next show as you'll definitely be a contender. @GSK: It's a shame you didn't have time to do much work because your concepts are clear and show much promise. The roof on the ice rink is awesome and I really loved the boardwalk and beach huts. Especially the plank pattern on the former--that must have been a pain (same with the tile floor of the diner). And the maze and pool (nearly a lake!) of the hotel were quite good, too. Pools with real water in them are a total pain to make but you nailed it. The park is about 75% unfinished. Ideas i had and have plenty but I just did not had the time available to me to make it happen. The last weeks were (and still are) rough in real life but im kinda proud i made it till the end. i might start a park thread and see where it takes me. I had a lot of fun building and creating, and there is still so much unused / unfinished area in my park that tickles me to continue. I hope i find time to have a look in everyone's park! @Forgath: First off, I hope your personal situation is less bleak these days. The scope of your problems is evident in the unfinished state of your park. I salute you for carrying on to the end regardless. What you did get done is quite nice, though. I think your coaster has the best ride of all the road-crosses, although it could use a bit of smoothing here and there. Still, it has a great layout and a generally smooth ride. And the rapids ride certainly has great potential. But what really strikes me is your flower trellises, which look awesome. I hope you do indeed carry on with this park when you have a chance to get after it. I look forward to seeing a thread on it. Thank you for the nice words Bullethead. To be fair, i have been considering not posting this final round. I dont like showing half build stuff, i prefer to finish it first. But it is what it is at the moment. My personal situation has not become less bleak, but has 'settled' in some form of acceptance. 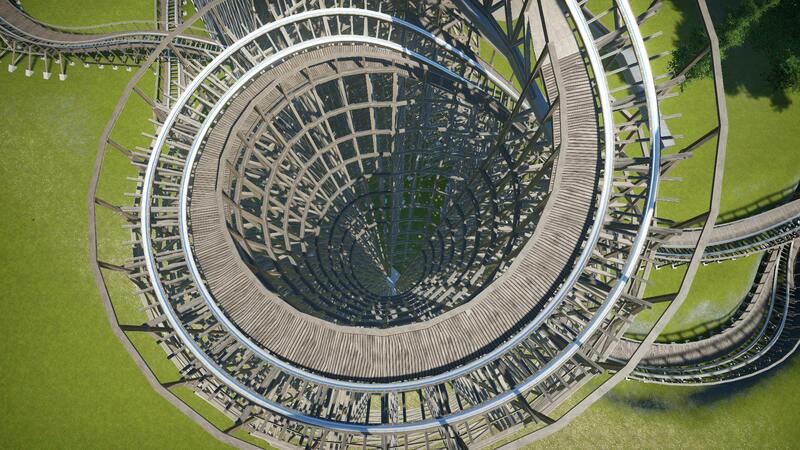 The lay-out of the coaster is something that just comes up in my mind when i am building it. 'Oh, lets try this'...'Lets go downhill here' ...'a tunnel perhaps?' ...Its pretty chaotic with all those ideas in mind Concerning the smoothing option: I know its there but i havent used it yet. There are so many things yet that id like to finish, so im going to try to take it in small steps. @Forgath: Sorry to hear things haven't really improved but, as I know from my own situation, it's at least a bit better when things stabilized even briefly so you can start dealing with them instead of constantly reacting to new crises and always being on edge for the next one to happen. Best of luck with your problems. 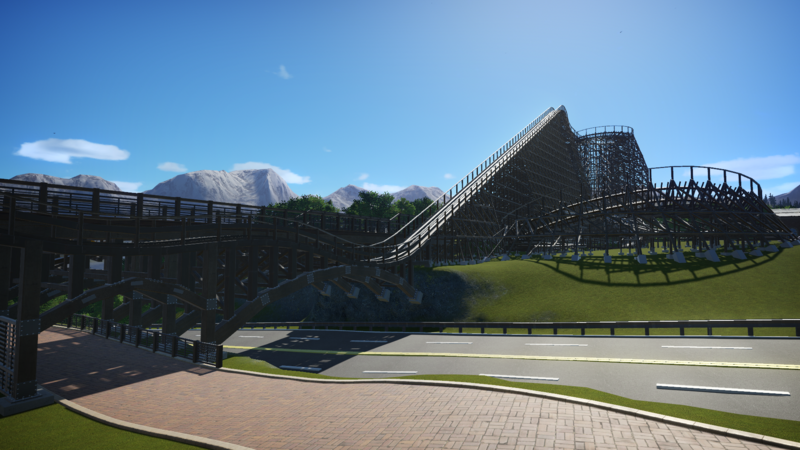 Your coaster-building style is rather like my approach to this whole game: throw stuff together and hope for the best . But it's working for you so stick with it. As to the smoothing tool, it's pretty easy to use. Just look for the discontinuities in the track and click on them while in track edit mode. This will select the 2 sections of track on each side of the discontinuity. Then hit "Smooth All" 3-6 times and no more discontinuity. Scoring was done a little different this challenge. All entries were automatically awarded 5 pts just for making it to the finish. Also, there was only one runner-up chosen per judge due to the low amount of entries. Congratulations to JPAlmighT, the winner of the SGW Summer Competition 2018! Yay JP! And good job everybody else! This was a good contest with lots of awesome stuff by all. Thank you ShyGuy and the other judges for giving me the opportunity to play. And also Salad Fries for the map, although I still think mine was better . Anyway, I'm looking forward to the next one. Here are my comments on the final entries. Alpha order. I voted exactly in the order that everyone placed. Bullethead - I know you really hated that transport tram ride, but IMO - - I think the layout and how you set it up are one of the strong points of the park - it like a ride in itself that tours the park and has great gardens and scenery. Very impressive how it spirals down and I love the bridge crossing (and the bridges)...great work. Your overall layout and all the little round garden areas are done perfect. I really like your coaster layouts...did you come up with that roll at the top of Cool Wave? Never really seen anything like that before. Also like the splash zones on the raft drops - very nice park overall. FCP-Rug - the items I would like to call out over and above what has already been mentioned in the earlier challenges are as follows: The detail in your parking areas…the crosswalk lines, etc. I also like the farm ride (even if it doesn't work for real). Was able to explore this area better and see the layout. very nice. The Adventure Zone is also very cool. I need to build a section like this for a park I'm working on for a buddy of mine and I may steal some ideas. the faux balloon ride is a nice touch and I could also see how the cabin/camping area fits in the overall scheme of things new, I love The new Area 51 is a good addition. It really doesn't seem to fit with the rest of the park very well, but because its segmented off to the side it still works ok in this park. Looks good at night as well, just wish the coasters would be lit a bit better. 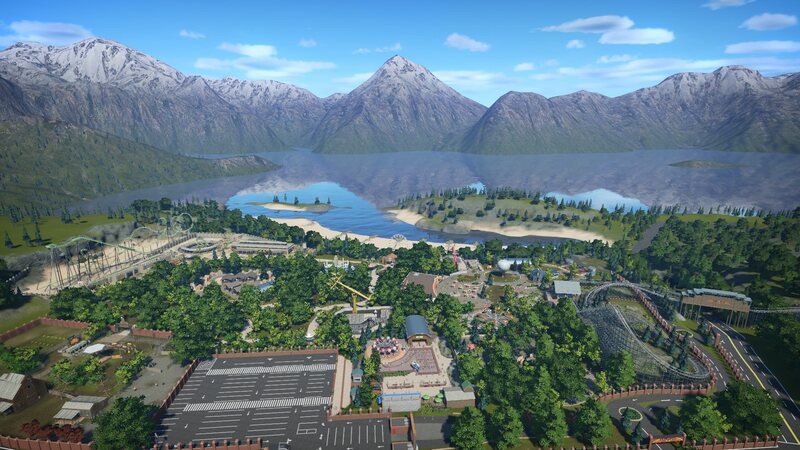 Forgath - we all know you had issues with open time to really complete this park, but I have to say, there are a lot of areas that have a great looking start in this park. It would be great to also see you try and finish this one out more over time. 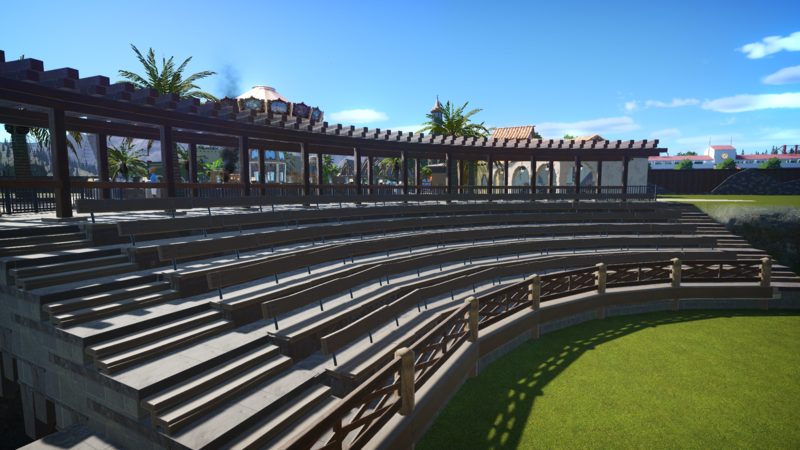 I like the little sunken stage area (just not real keen on the location of it next to the church...maybe move it over by the castle where it will fit in better?). The castle is also very good work, especially like the gardens around the back of it. The coaster and other rides all have interesting layouts and I would to see them finished.I also liked the view of the coaster track from the top of the first lift hill. Great shot. 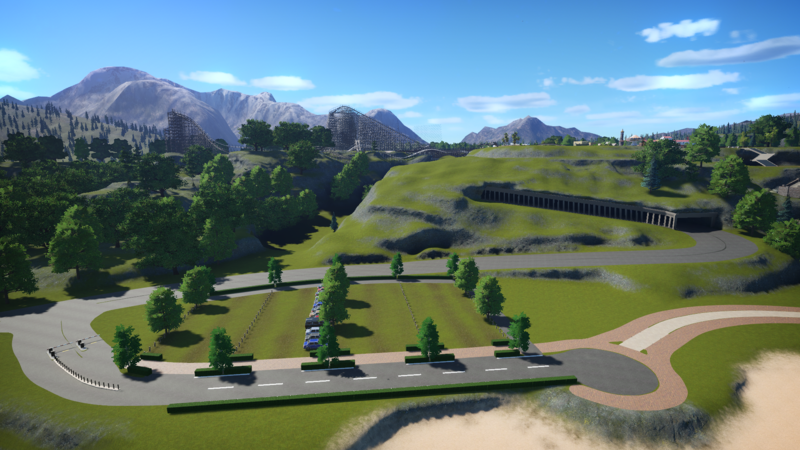 graystripedkitty - Clearly you were not able to get a lot of work of done on this park, but I would encourage you to keep building it and post updates as there is a lot of potential here. Its great that you stuck with it this far and submitted the entry. The Fairy Grotto underground ride is a great idea. Almost missed it until I realized that building was a hidden queue to a hidden ride. 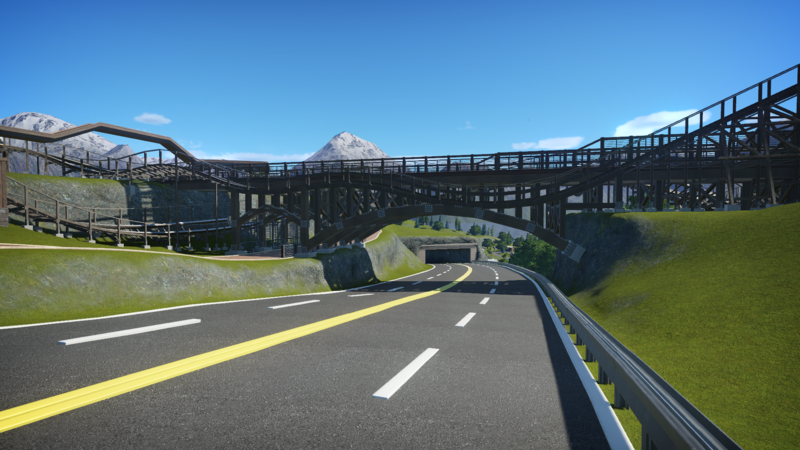 Some scenery around the train and coaster will also help a lot. Show us all over time what else you can do with this. JPAlmighT - almost too much for me to say here, so I will try to just list all the high points that I especially love about this park. The town you built over an above the actual park. The winery area around the church is even way better than what it looked like in the original challenge.The carousal is beautiful. Landscaping at various places is perfect. Interiors (like the welcome center...jaw dropping). Love the 'Moose' take on the wild mouse coaster - fits the park perfectly. Beautifully lit at night. Great layout on the RMC coaster - lots of fun and not over the top (like I tend to do with all my coasters). you added a train ride? Great use of the farm plot. It seemed a bit unfinished in some areas around the train, but very easy to overlooks this in the grand theme of things. 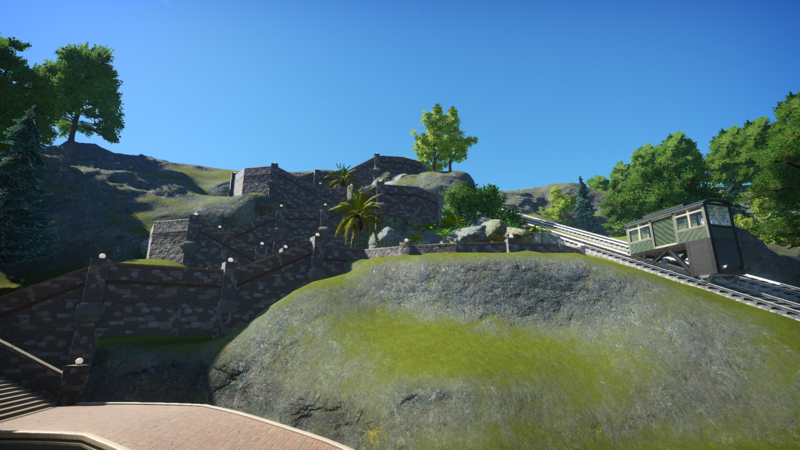 The mine coaster also fits the terrain well, but seemed a bit unfinished. you even added a few ride to the beach. The overall park layout is done very well...even with some of the unfinished things I mentioned, this is the most 'complete' entry IMO. I would love to see you finish this park out. PhDisney - too bad you couldn't get more work done on this entry. The park has a lot in it, but many areas are just not finished. You should try to keep building in this park and post results so we all can see a more finished product for this park. Some of the things I still do like here is that include railway...great idea for that challenge. 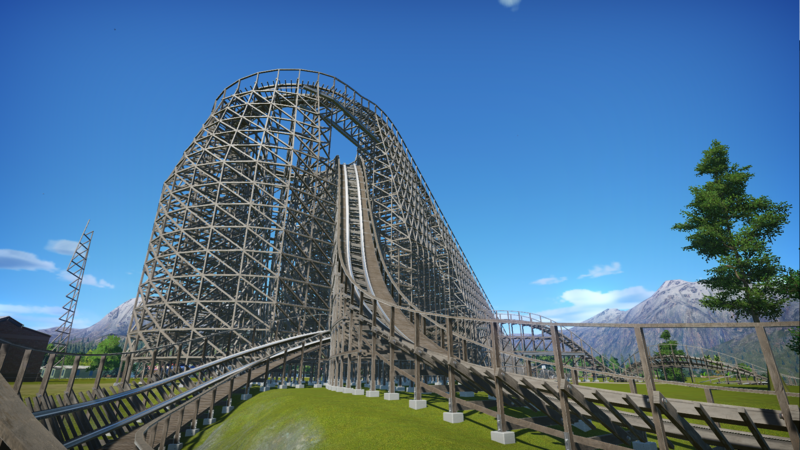 Woodworm is one crazy-azz wooden coaster that looks like it would for sure whip a few necks. IMO - I'm still not crazy about that coaster going up on the hotel roof and would like to see if you could revise the layout a bit and smooth it out into a great woody. The Canada dark ride is something that could fit right in Disney's 80's Epcot park. I especially liked the snow room. Agree with Bullethead, the praise for the judges, and SaladFries in particular for the map and valuable critiques, cannot be overstated enough. I also realize that school starting up when it did took a hit on a couple of judges in addition to competitors, thanks so much for your time. Congrats to everyone for sticking this out. We were a small group but we had a lot of fun I've still got a few parks to visit, hopefully this week. Congratulations to JPAlmighT for winning this competition! Well deserved! Thank you wowmanrct for your feedback. Very much appreciated! Funny that you mention the location of the sunken stage area. I was already thinking 'sure, making a large garden next to the hotel-castle is nice, but there should be more to it. Perhaps the stage area will fit better there. 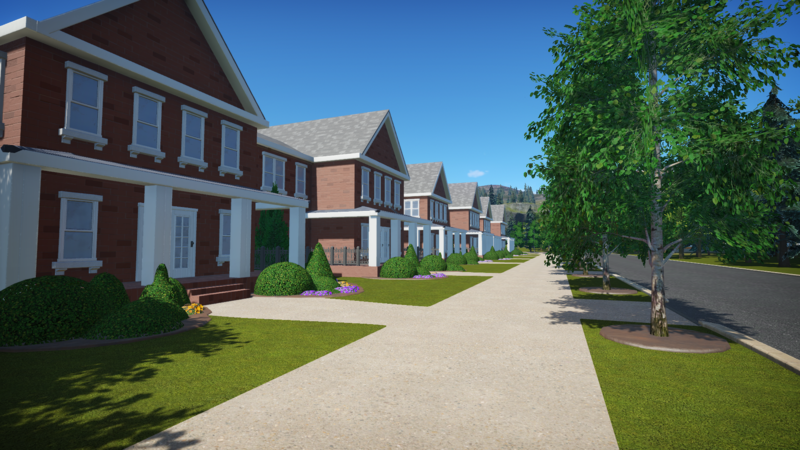 Will mean i have to decide on what to do with the church area. 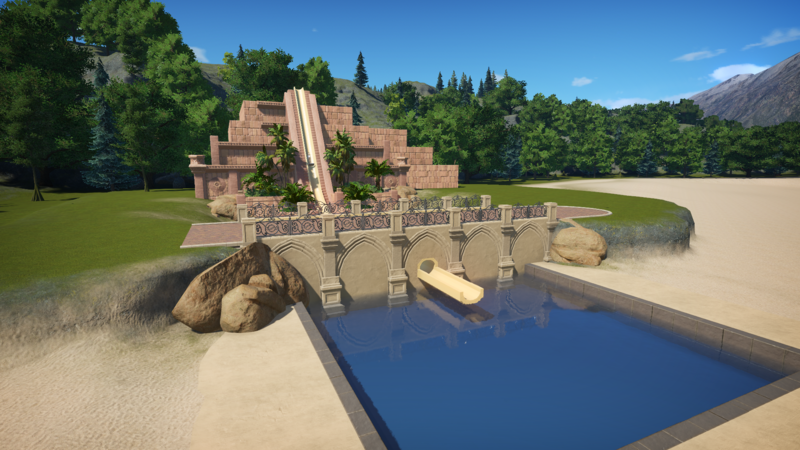 Yes, im still willing to continue to work on the park. Im hoping i get some play time tomorrow so who knows i get to create a park-thread then. in general: thanks to all who joined, competitors and judges alike. Your feedback kept me going, triggering to do my best (under the circumstances). 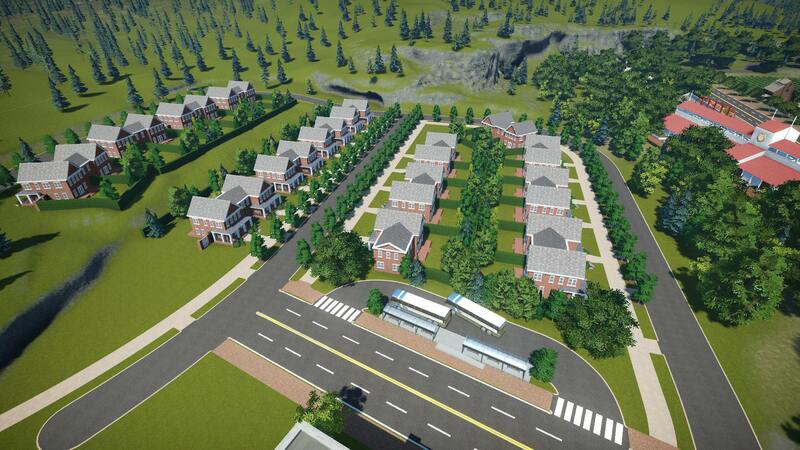 This was my first real try at playing the game, join an event and create a park. And i certainly would like to do so again. I hated the tram for 2 reasons: #1 because it originally was part of what I thought was the bizarre goal of providing a separate path from the parking lot to the beach, and #2 because it had to get to the beach with only "minimal" dirt work to the cliff. So, the spiral track came from the need to get down the cliff without really touching it, and then I had the VERY BAD idea of putting a hotel inside the spiral in a attempt to go over and above the basic requirements of that challenge. 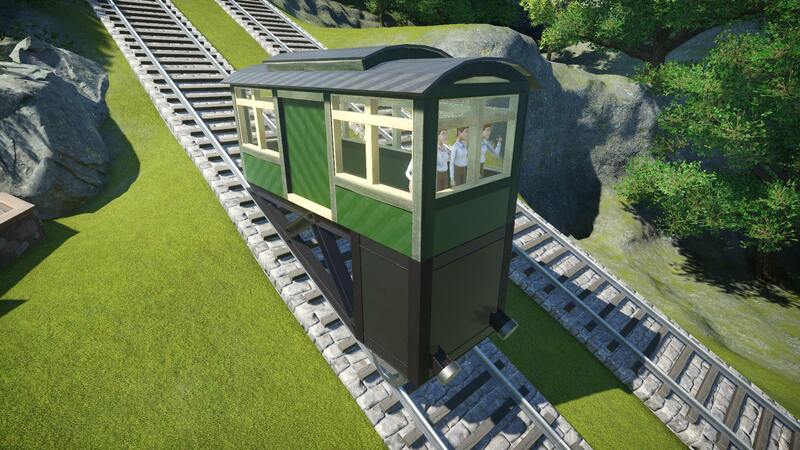 The hotel turned out to be a nightmare to build, so that gave me reason #3 to hate the tram. 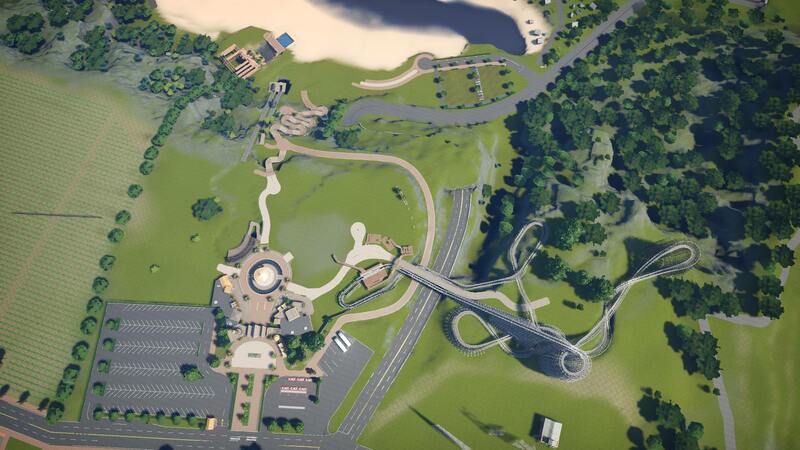 But once I could delete that damned separate beach route, the tram turning into something I rather liked as it expanded sideways into the rest of the park and the spiral DOES look kinda cool even if totally impractical . But I think it's the last time I'll be doing such a thing until we have more support for rides crossing paths. You know, like the tram not running over any peeps in its way, working crossing barriers, etc. Glad you like the coasters. I like making coasters more than building scenery and am particularly proud of the racer and the life-size Galaxi for meeting their technical challenges. As to the roll off the lift in Cool Breeze, that's an element I threw in myself. As the train is still moving quite slowly there, the roll imposes no Gs other than ever-present gravity so it's a harmless way to add a extra inversion and a bit of fun right off the bat. Besides, it's a way to make this coaster unique despite it otherwise being fairly stereotypical for its general type. Congratulations, everyone! You guys are awesome. Congrats to the Final Top Three!!! Well played and GG and all that jazz! Thank you to all the judges for all your insight and work! Thank you so much to all the competitors and judges for this competition. I joined SGW just so I could try my hand at improving my PC building skills. The competition was the perfect opportunity to do that, as it put pressure on me to actually produce results on set challenges. I'm so sorry I couldn't put the time required into the last two challenges, but real life/priorities... you know the drill. Congratulations to you all. An age-old cliche, but we are all winners for sticking with it to the end. I'm sure we've all learnt such valuable lessons from the competition. I could reel off a list of a dozen for starters! Thanks again - it was a pleasure getting to know you all a little, albeit virtually! @PhD: Hope you stick around now that the contest is over. I'd like to see more of your stuff. @Pietrix: That is a KICKASS coaster! 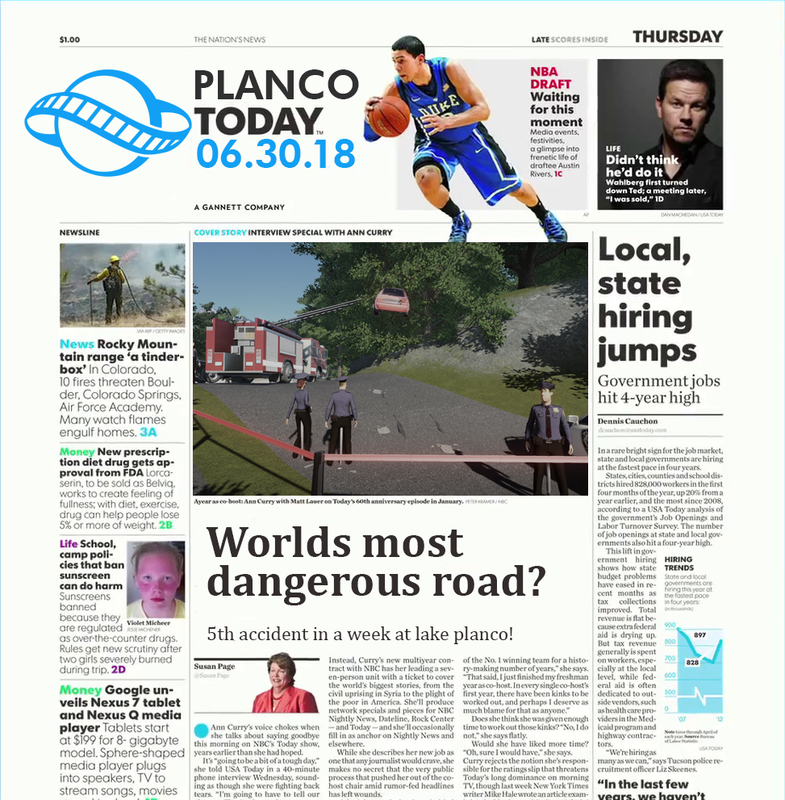 Yeah, that layout is very nice! It is awesome! Congratulations JP. Well deserved. It's a gorgeous park. There were some great entries in this comp. It's been great seeing all the parks grow. congratulations JP really great park! Great great work.